Jonathan Muma of City News Calgary stopped by campus today to talk with me about the college admissions scandal happening in the United States. The FBI investigation has led to 50 people being charged including celebrities Lori Loughlin and Felicity Huffman. Many advocates of integrity and social justice have been actively discussing the scandal on social media. One key message is that parents, coaches and others in positions of authority are responsible for setting an example of integrity for young people to follow. Instead, in this case, parents and coaches have been exposed as frauds and conspirators. It begs the question: If young people can’t look up to their parents and their coaches, who can they look up to? Not only it the entire situation a breach of institutional integrity and ethics in higher education, when we dig even deeper we can compare these stories to previous ones about African American mothers receiving jail time for trying to get their children an advantage. This is not only a story about the corruption among the wealthy, it is also a story about white privilege and entitlement. In the story I comment about how Canada and the US differ, but at the same time, I would add that Canada is not immune to social issues such as white privilege, entitlement or those with more money thinking they get to play by different rules. If there is one key takeaway from the college admissions scandal it is this: morality, integrity and ethics matter even before students enrol in university. Sarah Elaine Eaton is a faculty member in the Werklund School of Education, University of Calgary, Canada. Opinions are my own and do not represent those of the Werklund School of Education or the University of Calgary. My colleague, Amy Burns, and I recently published this article in the Journal of Educational Thought. ABSTRACT: In this article, we examine selected literature on the implementation of culturally responsive pedagogy in higher education with regard to academic integrity among international students who speak English as an Additional Language (EAL). The question that guided this work was: How can Canadian post-secondary educators demonstrate culturally sensitive responses to plagiarism for international EAL students? Within this examination we used Sleeter’s (2011) critique of culturally responsive pedagogy as a framework to deepen our reflection of how to address plagiarism issues among the EAL population. We related each of Sleeter’s four observances of oversimplification to the notion of plagiarism and its prevention, to contextualize and connect the notion of culturally responsive pedagogy to academic integrity. 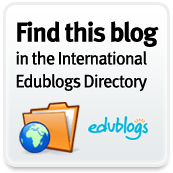 Using the research literature to ground our recommendations, we conclude with strategies for instructors to support culturally responsive ways of addressing plagiarism with international EAL higher education students. Please cite this article as: Eaton, S. E., & Burns, A. (2018). Exploring the intersection between culturally responsive pedagogy and academic integrity among EAL students in Canadian higher education. Journal of Educational Thought, 51(3), 339-359. As many of you know, I’ve been developing a research program on academic integrity over the past few years. Last year I began collaborating with my friend and colleague, Dr. Roswita Dressler, on a project that brings together our combined expertise in academic integrity and language learning. It started when I noticed that almost all of the research that I’d seen about contract cheating was focused almost exclusively on services provided in English. That led us to ask ourselves what the market was students of second languages. We undertook a rapid review to help us get a general sense of the landscape. We wrote up the results and they have been accepted for publication in a peer-reviewed journal. I’ll post about it when the publication comes out later this year. We are also doing a workshop at the University of Calgary’s Language Research Centre to help teachers of second languages build their understanding of what the contract cheating industry is and why they need to pay attention. Contract cheating happens when students have a third party complete academic work on their behalf. The term was coined by UK researchers Clarke and Lancaster (2006). It includes, but it not limited to essay mills and homework completion services. Suppliers of this form of “black market” academic work exist mainly online. Students can simply upload a digital copy of their assignment instructions to a website, insert a delivery date and pay for the work by credit card. Contract cheating is big business. Owings and Nelson (2014) found the essay mill industry in the United States alone to be valued at a minimum $100 million USD. Estimates show that over 71,000 post-secondary students in Canada buy academic work online (Eaton, 2018). There is growing evidence to suggest that contract cheating is not limited to academic work completed in English, but also in a variety of world languages. Date and time: Friday, February 15, 3:00 – 4:00 p.m. This workshop is open to the public and is free to attend. Clarke, R., & Lancaster, T. (2006). Eliminating the successor to plagiarism: Identifying the usage of contract cheating sites. Paper presented at the Second International Plagiarism Conference, Gateshead, United Kingdom. At the University of Calgary we will mark the International Day of Action Against Contract Cheating on October 17, 2018. We join with dozens of other institutions worldwide who have pledged their commitment to take action by registering their participate with the International Center for Academic Integrity. Contract cheating includes, but is not limited to, essay mills, homework completion services and impersonators for exams and even course work. Join us for an engaging and invigorating campus-wide discussion about how we tackle this complex subject. At the University of Calgary, I’ll be co-hosting a campus-wide event with our our Academic Integrity Coordinator, Lee-Ann Penaluna, hosted by the Taylor Institute for Teaching and Learning. Explore what contract cheating is in a post-secondary context. Explore how multi-stakeholder approaches are needed to address this complex subject. Reflect on concrete ways to detect and deter contract cheating. We are excited to announce we’ll have a special guest presentation via Skype from Dr. Thomas Lancaster, from the UK, whose is one of the world’s leading experts on contract cheating. We will also join in the social media white board campaign, using the hashtags #excelwithintegrity and #defeatthecheat. The event is open to everyone on campus, including students, faculty, staff and others. We also welcome members of the public to find out more about what contract cheating is and how to take action to promote integrity in education. Register to attend the University of Calgary event here.